← 132 Nations Join To End Rothschild Banking Jig aka; NWO: The Secret He-man Mutual Appreciation Economy! This is my own post, but a verbatim copy of another article from 2012. I received a comment from ‘rhymeafterrhyme‘ which perhaps suggests the article, or what it has to say, is still relevant. Reblogging it provides a flashback and a chance to apologize to the sources of the article, for not at the time acknowledging them. 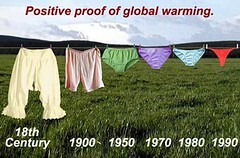 To Sott.net‘, ‘Activist Post’ and Susanne Posel, thanks for a sound overview of the global warming scam. Another author posting on Sott.net about the AGW scam. Susanne Posel, Activist Post, reminds us of the politics, the non-science, the world government agenda that has suckered many of the world’s governments, including Australia, into setting up financially and socially destructive control systems. None of it to do with global temperature or climate change, whatever the name, but everything to do with global control. Climate change alarmists are hard at work, pushing their agenda of man-made global warming which ultimately leads to global carbon taxing through the governance of the UN. There is not any serious debate about whether anthropogenic climate change is happening. Scientists are certain about that, and it is unfortunate that the national debate is lagging so far behind. This entry was posted in AGENDA 21, AGW, climate change, ENVIRONMENT, World Issues and tagged Carbon dioxide, Climate change, ENVIRONMENT, Global warming, New World Order. Bookmark the permalink. Totalitarian, one-world government is, and has been, the main goal for the past seventy years. but the US NAS still directs lock-step “consensus science” through annual budgetary review of research agencies for Congress – NASA, DOE, EPA, NSF, etc.